When will we have a wireless electric vehicle charging infrastructure? 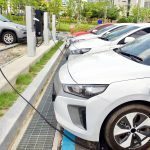 FleetCarma » EV Industry » EV Charging » When Can We Expect Wireless Charging for Electric Vehicles? Since the re-emergence of plug-in electric vehicles in 2010, the promise of wireless charging has loomed along a crowded horizon of exciting “things to come” in clean transportation. To be sure, the vision of a world free of both gas nozzles and charge cables is compelling. Just pull into a parking space, exit the vehicle, go about your day and come back to a fully charged battery. With enough publicly available wireless charge infrastructure, it would be possible to rarely ever think about “refueling” your car. For motor pools and other vehicle fleets, the all-too-common issue of drivers neglecting to plug-in their vehicles after use could be remedied for good. The threat of theft or vandalism to charge equipment could be thwarted by installing charge pads beneath the ground, leaving no accessible trace of EVSE exposed to vandals or the elements. Unfortunately, like so many high-tech dreams, the most appealing aspect of wireless charging is a vision of it being everywhere, post-widespread adoption. Right now, that day is still a long way off. Sending current through a coil creates a magnetic field, which can be oscillated to transfer electromagnetic energy to another, non-connected coil wirelessly. Wireless inductive charging is already fairly common in smartphones, electric toothbrushes and other consumer electronics. The technology employs scientific principals you’d learn about in any introductory college physics course—Faraday’s Law, Lenz’s Law, electromagnetic induction. There haven’t been major breakthroughs in understanding induction works in quite a while, but new materials and processes for regulating current are yielding more and more powerful and efficient wireless charge designs—at an ever-lowering cost. It’s not vaporware, wireless electric charging is already here. In a sense, wireless EV charging is already here—even if few consumers have ever had the chance to use it. Wireless charge pads and accompanying adapters for select plug-in models have been available at a price point within the reach of most plug-in buyers for several years. Installation is a bit more complicated than a standard wall charger, but the total cost is usually about the same. In 2014, Plugless Power began offering these kits for the Chevy Volt, Nissan LEAF and Cadillac ELR starting at under $1300—roughly $800 – $1,000 more than a typical Level 2 charging station. In the years since, Plugless has expanded its lineup to service the BMW i3, Mercedes S550e and Tesla Model S, whose wireless charge kit retails for more than $3,000. Pricing isn’t exactly competitive with conventional Level 2 charging stations. But depending on what you’re selling, consumers are often willing to pay more for a superior product. But just how much better is it? The two biggest knocks on wireless chargers so far have been speed and efficiency. The field of products currently on the market is limited to a few low-volume, first-generation models. Among these early contenders, charging speed (measured in kW or Amps) is lower than can be found for less money in a basic corded station. For example, Plugless Power’s Tesla Model S kit maxes out at a 7.2 kW charge speed, compared to the 11.5 kW of a basic Tesla Wall Connector. Thankfully, that won’t be the case for long. Multiple wireless charging companies have demonstrated charging speeds of 20 kW or higher in tests. Wireless charge prototypes designed for trucks and public buses can even reach up to 250 kW. General Motors is currently working with WiTricity to develop wireless charge systems for its plug-ins that run at 7.7 kW and 11 kW. Efficiency losses from inductive charging are to be expected—and probably impossible to eliminate completely—but their impact may be a bit overblown. Plugged charging tends to be around 95 percent efficient, compared to near 90 percent efficiency for wireless systems. That’s not insignificant, but it’s also not necessarily a deal breaker, and will likely amount to a difference of less than $50 per year in your utility bill. When will EVs support wireless charging? The days of having to buy and install aftermarket hardware to your vehicle in order to take advantage of wireless charging are numbered. Mercedes-Benz will begin selling built-in wireless charge capability as an add-on for its S-Class S550e plug-in next year. Luxury competitors Audi and BMW are both rumored to be considering integrating wireless systems soon as well. Nissan, GM and Ford have entered into partnerships with smaller wireless charging companies like WiTricity, working to test and refine charging systems for their platforms. Toyota is collaborating on research at the university level, and recently launched a test on one of its own models. Public wireless charge infrastructure will most certainly continue to be scarce until the capability begins to be more common as an optional—or eventually even standard—feature for EVs. In order for that to happen, the industry will first have to finalize a charging standard. A universal standard for wireless charging infrastructure. Last year, carmakers and the Society of Automotive Engineers (SAE) moved toward establishing industry-wide wireless charge standards by agreeing to a reference design for use in testing during vehicle development. Numerous parameters have yet to be agreed upon, including “handshaking” between the charge pad and vehicle, as well as the design of the coils themselves. The industry’s failure to agree upon a single universal charge standard for plug-in electric vehicles has been a major impediment to public charge infrastructure. Wireless charging is such a marginal—and arguably superfluous—technology for the nascent plug-in vehicle market that competing standards threaten to destroy any market demand before it develops. How appealing would install a wireless public charger be if you needed three dedicated parking spots and three different models of EVSE to cater to the whole plug-in community? Gradually working toward a single standard before any of the players dive into the market head first makes more sense for everyone involved. Right now, wireless charging stations represent a tiny sliver of the EVSE market and are projected to continue on a slow and steady rate of growth for the next five years. 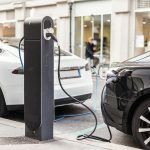 But given the attractiveness of the technology, its potential for standardization and compatibility across all electric vehicle brands, and the expected improvements in cost, speed and efficiency that are likely to be reached in the very near future, it may not be a marginal product for very long. Once a wireless standard has been agreed to and carmakers begin to integrate the feature into their lineups, there could come a point where public charge providers all but abandon cords. Within a few of decades, the phrase “plug-in vehicle” could become an artifact of the early vehicle electrification era.